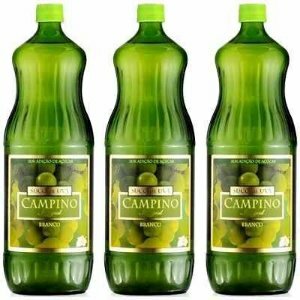 SUCO UVA BRANCO CAMPINO. - BRAZIL IMPORTS LTDA. SUCO DE UVA BRANCO, INTEGRAL, CAMPINO- 100% UVA; SEM AÇUCAR -(3 LITROS: 1.500 ML CADA), UMA DELÍCIA.